Now, every once in awhile I love venturing away from mainstream stores (Yes, we all know I have an obsession with Zara!) and going to different second hand shops and flea markets to try to find unique pieces (especially when I travel!). Our recent trip to New York was no exception. Besides eating like crazy and sightseeing, we also went shopping in Brooklyn at the DUMBO Flea Market, and I thought it was a really cool experience to share! So, let me highlight that this flea market has a prime location!! I mean, It’s located in Pearl Plaza in Dumbo, Brooklyn, a few blocks away from the East River and Main Street Park, and it’s VERY accessible by all means of transportation (subway, walking, ferry, car – you name it!) so there’s no excuse not to stop by if you have some spare time on your Sunday morning. Besides, after you’re done shopping, you can find tons of activities to do nearby like riding a ferry to Williamsburg and continuing shopping there! The flea market itself was a nice size (not too big) with a great variety of items sold from leather goods, to vintage clothing and accessories, antiques, textiles, and even some yummy food. We spent around two hours walking from vendor to vendor, and had a very pleasant morning. I bought some antique city guides, vintage matches, button pins, and a jean jacket (to add all the button pins to!) that I really LOVED. 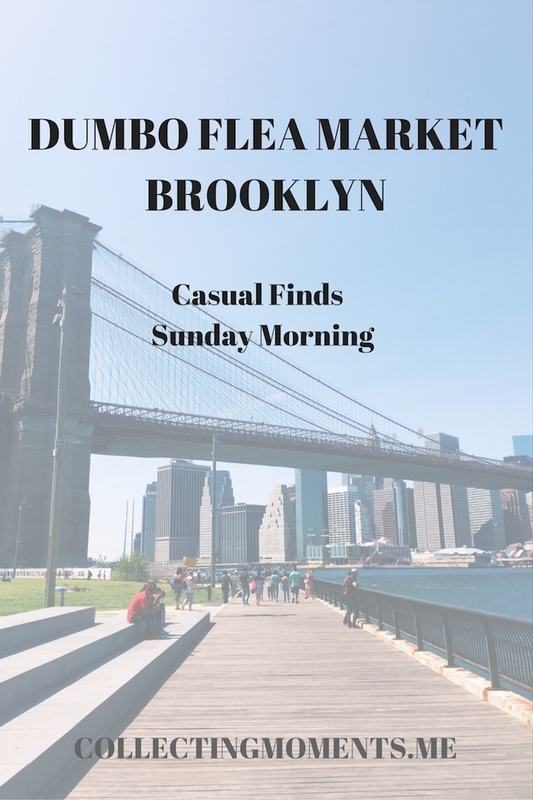 Open every Sunday from 10am to 5pm, I highly suggest adding the DUMBO Flea Market to your list of places to visit when in the New York City area!